In some of my recent reading, I came across the fact that E. & J. Gallo, The Wine Group and Constellation Brands produce more than half of the wine consumed in the U.S. Wow! But then early this month I learned that Gallo had entered into an agreement with Constellation Brands to purchase more than 30 wine and spirits brands, along with six wine making facilities located in California, Washington, and New York. Double wow! So, here’s a listing of some of the most familiar wine labels Gallo previously had in its portfolio — Alamos, Amarone, André Sparking wine, Apothic, Barefoot (this one accounts for almost 5% of all the wine consumed in this country! ), Bartles & James, Boone’s Farm (Yup, they’re still around), Branciaia, Bridlewood, Carlo Rossi, Carnivor, Souverain Columbia, Dancing Bull, Dark Horse, DaVinci, Gascon, Edna Valley, Frei Brothers, Ernest & Julio Gallo, Gallo Family, Ghost Pines, J Vineyards, LaMarca Prosecco, Locations Brand (previously owned by Dave Phinney), Louis Martini, MacMurray, Mirassou, Orin Swift, Red Rock, Redwood Creek, Talbott, The Naked Grape, Tisdale, Tott’s Sparking Wine, Turning Leaf and William Hill. That’s not the full listing, just some of the most notable. Now, you add to that the labels from Constellation Brands — Clos du Bois, Black Box, Estancia, Mark West, Wild Horse, Franciscan, Hogue Cellars and Ravenswood. So, maybe you don’t regularly purchase the Gallo label wine, but now looking at this list, you are likely to be purchasing wines that are part of Gallo’s portfolio. Cheers! 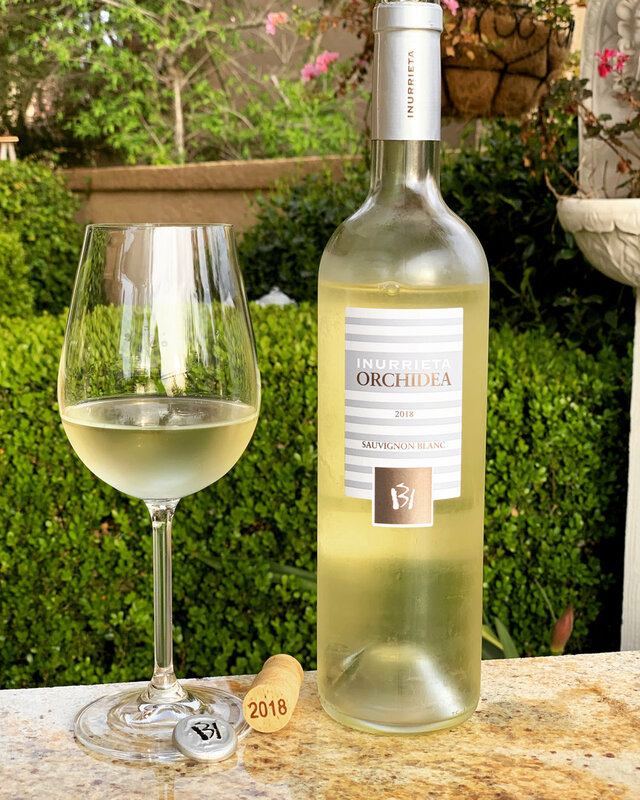 Here’s nice refreshing Sauvignon Blanc that will compliment any spring or summer meal. This 100% Sauvignon Blanc is from Bodega Inurrieta and comes from the Navarra region of northern Spain. It’s got wonderful bright tropical fruit flavors of pineapple and lime and just the right amount of acidity. It was tank aged over fine lees for four months so its also got a bit if a creamy smoothness to its mouthfeel. If you are a Sauvignon Blanc lover, or even if you aren’t, give this one a try. I believe you’ll like it! If you think that the only good Cabernet Sauvignon is from California, think again. 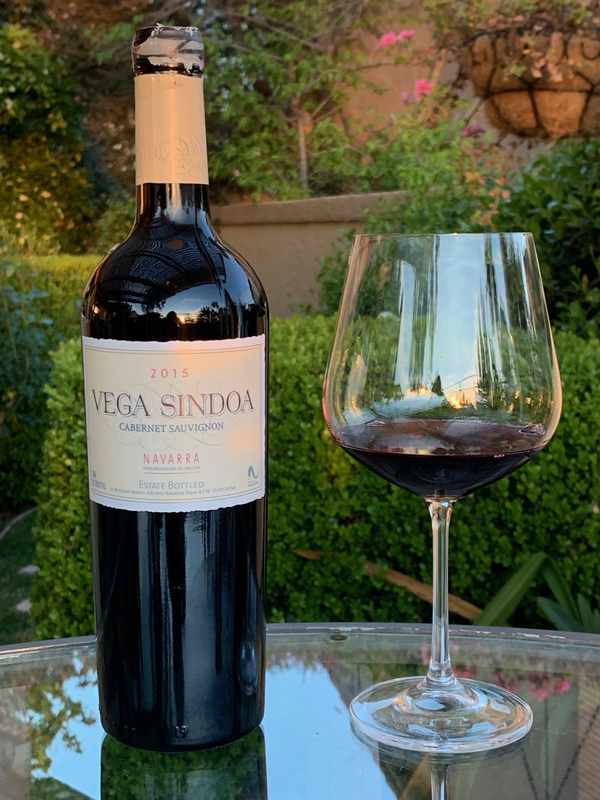 This Vega Sindoa from Bodegas Nekeas is quite nice. And, at the price, you’ll be hard pressed to find one better. This 100% Cabernet Sauvignon comes from the Navarra region of Northern Spain. The area is filled with native varietals, such as Tempranillo and Garnacha, but, with its proximity to France, wine growers have also been heavily influenced to grow French varietal such as Chardonnay and Cabernet Sauvignon. This Cabernet Sauvignon is wonderfully delicate with good fruit on the front, nice chocolate notes and a very easy and long finish. There’s just enough tannin in this one to give it structure without being harsh. This is attributable to being fermented in stainless steel before being transferred to a combination of new to three-year old French oak barrels for 13 months of aging. I was very pleasantly surprised with this one. It’s quite tasty and a super value. If you find this one, pick up several. Cheers! Spring-time is a great time to start enjoying Rosé. It’s bright fruit flavors and wonderful acidity makes a nice chilled rosé very thirst quenching. And its bright pink hue just seems to go with all the beautiful blooms of the season. But, you may wonder how the color of this wine is achieved. Rosé is made from red wine grapes. But, it's made in the traditional white wine making process. Hence, the process can be a bit confusing. So, first, realize that all juice from wine grapes, whether from red grapes or white grape, is nearly clear. And, all the color in a finished wine comes from the skin of the grapes, not from the juice. With that in mind, rosé wines are made in a couple different ways. Maceration is the most common method used. The word 'Maceration' literally means to soften by soaking. And in the case of rosé production, it means to allow the grape skins to soak in the grape's juice. For rosé, the red wine grape skins spend limited time (2-24 hours) soaking with the juice. Just enough to give it its pink color. The Saignèe ("San-yay") method allows the grapes to be crushed under their own weight and the 'free run' juice is collected. Since this juice spends such little time in contact with the red grape skins, the resulting color is light pink. Regardless of the method used, rosés can be dry or sweet. Typically, rosés with alcohol levels around 8 or 9 percent are going to be quite sweet. In the 11 to 12 percent range, they will be mid-range between sweet and dry. And, above 12 percent it's going to be dry. So, check the label. The alcohol level must always be shown. And, remember, with rosé wines they should be enjoyed young (within two years of its vintage) while they still have their bright fruit flavors and crisp acidity, and they should be served cold. This is another wonderful offering from the Navarra region of Spain. This rosé of Garnacha (70%) and Tempranillo (30%) is bright cherry red in color and has a beautifully soft mouth-feel. This rosé is produced by maceration, or “bleeding” of the grapes where the grape skins and flesh is left in the juice (must) for just six hours. Then, without pressing, the must is drained off and fermented in temperature-controlled stainless steel vats. While the bright cherry red color of this rosé suggests a big, bold flavor, what you get is a delicate wine with soft flavors of strawberry and raspberry. At 13.5% alcohol by volume (ABV) this is a dry rosé with little to no residual sugar. The only “sweetness” comes from the ripe fruit flavors. As usual, this Ochoa Calendas rosé is a great value for such a bright, flavorful wine. Chill this one down and enjoy. Cheers!